There are few things that can survive the onslaught of time. 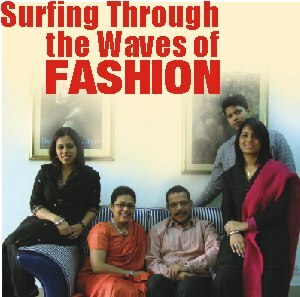 In the world of fashion especially, nothing is static and few brands can claim supremacy for years on end. Yet, in spite of the ruthless competition between fashion houses, a few manage to survive the transitory nature of this arena, purely on the basis of their goodwill, brand loyalty of the customers and the constant effort to innovate and keep afloat with changing tastes and trends. One brand that can be directly associated with the history of men's fashion in Bangladesh is Cat's Eye, a fashion house that is celebrating its 25th anniversary this May. Starting out as a small shop in Green Supermarket in the 1980s Cat's Eye has managed to survive and thrive well into the 1990s and the present times. With 27 outlets in Dhaka and other major cities, Cat's Eye continues to provide its clientele with clothes that are comfortable as well as in vogue.